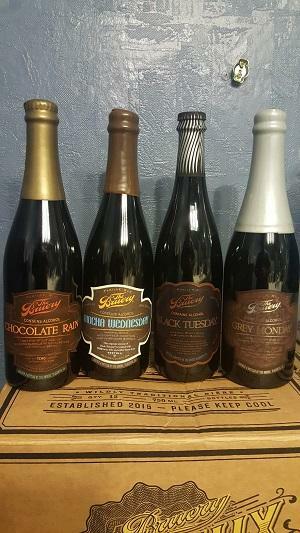 BRUERY- Black Tuesday 2015, Mocha Wednesday 2017, Chocolate Rain 2016, Grey Monday 2016. I'm getting rid of the collection, reduced prices on all listings, check them out. Paypal accepted, Venmo upon request. Will ship to Continental USA.